Sub-Saharan Africa made great strides in the global fight to abolish the death penalty with a significant decrease in death sentences being imposed across the region, Amnesty International said in its 2017 global review of the death penalty published today. While countries such as Botswana continue to execute people, Guinea became the 20th state in sub-Saharan Africa to abolish the death penalty for all crimes, while Kenya abolished the mandatory death penalty for murder. Burkina Faso and Chad also took steps to repeal this punishment with new or proposed laws. In March, Zimbabwe commuted the death sentences of prisoners who have been on death row for more than 10 years, signaling a positive step forward. “The progress in sub-Saharan Africa reinforced its position as a beacon of hope for abolition. The leadership of countries in this region gives fresh hope that the abolition of the ultimate cruel, inhuman and degrading punishment is within reach. Sadly, countries like Botswana are regressing,” said Amnesty International’s Southern Africa Regional Director Deprose Muchena. “With governments in the region continuing to take steps to reduce and repeal the death penalty well into 2018, the isolation of the world’s remaining executing countries could not be starker. The organization recorded a drop in the number of executing countries across Sub-Saharan Africa, from five in 2016 to two in 2017, with only South Sudan and Somalia known to have carried out executions. However, with reports that Botswana and Sudan resumed executions in 2018, the organization highlighted that this must not overshadow the positive steps being taken by other countries across the region. Elsewhere in Africa, Gambia signed an international treaty committing the country not to carry out executions and moving to abolish the death penalty. The Gambian President established an official moratorium (temporary ban) on executions in February 2018. Developments across Sub-Saharan Africa in 2017 exemplified the positive trend recorded globally, with Amnesty International’s research pointing to a further decrease in the global use of the death penalty in 2017. Amnesty International recorded at least 993 executions in 23 countries in 2017, down by 4% from 2016 (1,032 executions) and 39% from 2015 (when the organization reported 1,634 executions, the highest number since 1989). At least 2,591 death sentences in 53 countries were recorded in 2017, a significant decrease from the record-high of 3,117 recorded in 2016. These figures do not include the thousands of death sentences and executions that Amnesty International believes were imposed and implemented in China, where figures remain classified as a state secret. In addition to Guinea, Mongolia abolished the death penalty for all crimes taking the total of abolitionist states to 106 in 2017. After Guatemala became abolitionist for ordinary crimes such as murder, the number of countries to have abolished the death penalty in law or practice now stands at 142. Only 23 countries continued to execute – the same number as in 2016, despite several states resuming executions after a hiatus. Significant steps to reduce the use of the death penalty were also taken in countries that are staunch supporters of it. In Iran, recorded executions reduced by 11% and drug-related executions reduced to 40%. Moves were also made to increase the threshold of drug amounts required to impose a mandatory death penalty. In Malaysia, the anti-drug laws were amended, with the introduction of sentencing discretion in drug trafficking cases. These changes will likely result in a reduction in the number of death sentences imposed in both countries in the future. “The fact that countries continue to resort to the death penalty for drug-related offences remains troubling. However, steps taken by Iran and Malaysia to amend their anti-drugs laws go a long way towards showing that cracks are appearing, even in the minority of countries that still execute people,” said Deprose Muchena. Indonesia, which executed four people convicted of drug crimes in 2016 in an ill-conceived attempt to tackle drug crime, did not carry out any executions last year and reported a slight decrease in the number of death sentences imposed. However, distressing trends continued to feature in the use of the death penalty in 2017. Fifteen countries imposed death sentences or executed people for drug-related offences, going against international law. The Middle East and North Africa region recorded the highest number of drug-related executions in 2017, while the Asia-Pacific region had the most countries resorting to the death penalty for this type of offence (10 out of 16). Amnesty International recorded drug-related executions in four countries – China (where figures are classified as a state secret), Iran, Saudi Arabia and Singapore. The secrecy that shrouded capital punishment in Malaysia and Viet Nam made it impossible to determine whether executions for drug crimes occurred. 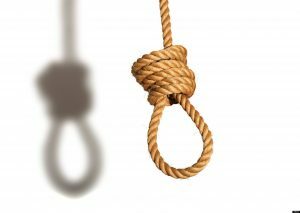 Singapore hanged eight people in 2017 – all for drug-related offences and double the amount in 2016. There was a similar trend in Saudi Arabia, where drug-related beheadings rocketed from 16% of total executions in 2016 to 40% in 2017. “Despite strides towards abolishing this abhorrent punishment, there are still a few leaders who would resort to the death penalty as a ‘quick-fix’ rather than tackling problems at their roots with humane, effective and evidence-based policies. Strong leaders execute justice, not people,” said Deprose Muchena. Governments also breached several other prohibitions under international law in 2017. At least five people in Iran were executed for crimes committed when they were under 18 and at least 80 others remained on death row, and people with mental or intellectual disabilities were executed or remained under sentence of death in Japan, the Maldives, Pakistan, Singapore and the USA. Amnesty International recorded several cases of people facing the death penalty after “confessing” to crimes as a result of torture or other ill-treatment in Bahrain, China, Iran, Iraq and Saudi Arabia. In Iran and Iraq, some of these “confessions” were broadcast on live television. Although the overall number of executing countries remained the same, Bahrain, Jordan, Kuwait and United Arab Emirates resumed executions after a hiatus. In Egypt, recorded death sentences increased by about 70% compared to 2016. With at least 21,919 people known to be under sentence of death globally, now is not the time to let up the pressure. Positive steps were taken in 2017 and the full impact will be seen in the coming months and years. However, with some countries taking steps backwards – or threatening to – the campaign against the death penalty remains as essential as ever. “Over the past 40 years, we’ve seen a huge positive shift in the global outlook for the death penalty, but more urgent steps need to be taken to stop the horrifying practice of state killing,” said Deprose Muchena.